Hey, basketball fans! Are you ready to take in March Madness in Raleigh, N.C.? The 2016 NCAA Division I Men&apos;s Basketball Championship First and Second Rounds roll into town March 17 and 19, bringing eight college basketball teams and thousands of fans to the area to experience the action live at PNC Arena. Four games will be played Thurs., March 17, with two more on Sat., March 19—a schedule of the games will be announced soon—but also note the Hoops and Hops FanFest taking place outside of PNC Arena on those game days. Bringing the whole family with you? We&apos;ve got some ideas on how to keep everyone happy on Fri., March 18, when teams in Raleigh have the day off. Start the day off right! If you want to skip (or sleep through) breakfast at the hotel, Raleigh has plenty of options to keep everyone happy. Need a few good, family-friendly suggestions? You can&apos;t go wrong at the charming Big Ed&apos;s City Market Restaurant or the famously-Southern State Farmer&apos;s Market Restaurant. Need more of a snack (or treat!) to start your day? Rise Biscuits and Donuts is can&apos;t-miss crowd pleaser. It&apos;s good to be a kid at Marbles! Led by passionate mind Sally Edwards and located in downtown Raleigh, Marbles is all about being hands-on, allowing children to imagine, discover and learn in dozens of interactive exhibits and daily educational programs. Interested in taking in a larger-than-life movie? Settle in at the Wells Fargo IMAX Theatre at Marbles, currently showing the educational and fascinating documentary "National Parks Adventure 3D." A special exhibit at the North Carolina Museum of Natural Sciences, Extreme Mammals (running through March 28) is all about exploring the biggest, smallest and most amazing mammals that have walked the earth. Featuring spectacular fossils and life-like models, it&apos;s a perfect exhibit for visitors of all ages. Note: Admission to the museum is free, cost for the exhibit is $10-15. If you plan your visit around lunchtime, a good idea would be to stop in at The Daily Planet Cafe, the restaurant connected to the museum, which has an emphasis on fresh and local and has simple, delicious options for all ages. A national historic landmark, the North Carolina State Capitol was completed in 1840 and is one of the best-preserved examples of a major civic building using Greek Revival architecture. Open for self-guided tours Mon.-Fri. from 9am-5pm, today the Capitol houses the office of the governor and lieutenant governor, the former legislative chambers and a recreation of the former state library on the top floor. Don&apos;t miss the numerous monuments and statues memorializing figures and events in the history of N.C. that surround the building! Located in downtown Raleigh and just steps away from the Museum of Natural Sciences and the State Capitol, the North Carolina Sports Hall of Fame is located inside the North Carolina Museum of History. 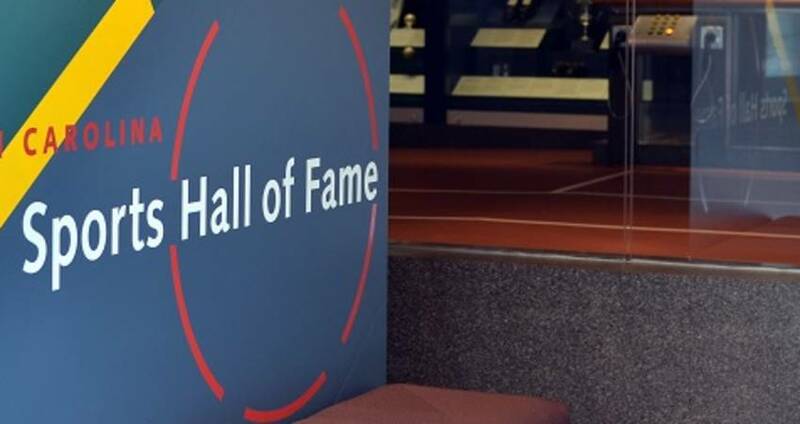 The Hall of Fame exhibit spans more than 3,000 square feet, celebrating excellence and achievements in athletics and showcasing memorabilia donated by many of the hall&apos;s approximately 300 inductees. Need to get out and do some shopping? Try North Hills, an outdoor, eclectic mix of 130-plus local shops, restaurants, bars and hotels, plus a cinema and upscale bowling lounge. It&apos;s easy to spend half a day exploring shops and discovering unique gems, including The Cowfish at North Hills, a one-of-a-kind dining experience that combines burgers and sushi, popular with both kids and adults. Or, head to Crabtree Valley Mall, which boasts more than 220 stores including Apple, LEGO, H&M and The North Face, plus family-friendly restaurants such as The Cheesecake Factory, Brio Tuscan Grille and P.F. Chang&apos;s China Bistro. Just can&apos;t get enough sports? Enjoy an evening at the ballpark with some peanuts and popcorn as North Carolina State University takes on University of Notre Dame in an Athletic Coast Conference baseball showdown. First pitch is scheduled for 6:30pm at Doak Field at Dail Park, just a few miles from the center of downtown Raleigh. Tickets range from $5-$10. Of course you&apos;ll need a great meal to end the day and prepare for more hoops action on Sat.! You can browse through restaurants in the area here, sorting by location, cuisine and amenities that suit your group best. To get you started, we&apos;ll suggest local favorite The Pit, an authentic whole-hog, pit-cooked barbecue-serving restaurant in downtown Raleigh that&apos;s made a name for itself as one of the area&apos;s signature dining spots (tip: make a reservation!). Maybe thinking about something more casual? Brixx Wood Fired Pizza is a family-friendly, full-service restaurant serving pizzas fresh out of wood-burning ovens, and Dave & Busters has plenty of food, beverages, games and televisions to keep everyone happy. You can view the official microsite for the event in Raleigh here. And for a complete calendar of events happening in Raleigh, N.C., during the weekend of March Madness, click here!